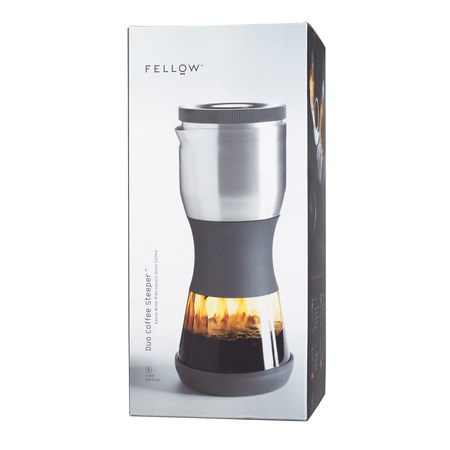 Fellow Duo Coffee Steeper is a coffee maker that is a combination of a dripper and a server. Its additional advantage is the adjustment of brewing time and built-in steel filter. You can use it to prepare both hot and cold brew. The brewer consists of several elements made of stainless steel, glass, silicon and BPA-free plastic. You can brew about 620 ml of clear full-bodied coffee at a time. 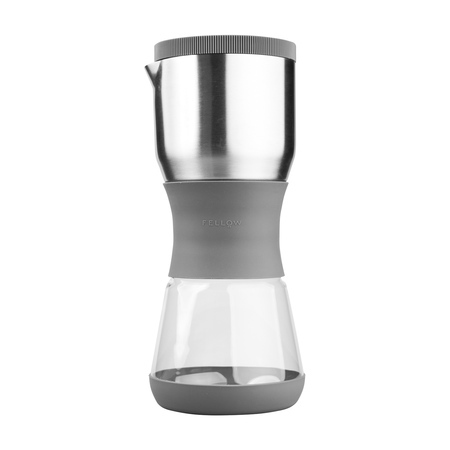 Thanks to its steel filter, Duo does not need paper filters and no grounds get in the brew. 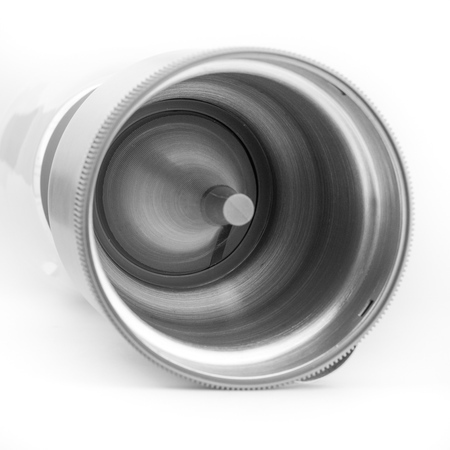 The flow in the filter is adjustable - it is opened manually which allows you to experiment with brewing time. How to brew coffee? It is simple: pour hot water into the brewer to warm the pot. Empty the pot and pour about 40 grams of medium ground coffee. Pour the coffee over with hot water and wait for 3-4 minutes. Turn the cap - coffee will flow to the bottom tank. It is ready! You can also prepare a cup of cold coffee, pouring the beans over with cold water and leaving Duo for about 12 hours in a fridge. If you also buy Fellow Tea Filter, you can use Duo to brew tea.